“Florida is near the bottom of giving people what they actually voted for." If your image of a marijuana dispensary is, say, a smoke-filled room adorned with Grateful Dead posters and jars of musky buds named “Banana Kush” and “Hawaiian Haze,” you may be disappointed by Florida’s version. The first thing you notice walking into Trulieve dispensary in Tampa is the absence of any actual marijuana, or, at least, the kind that traditionally fills rolling papers, pipes and three-foot bongs shaped like chemistry beakers. Trulieve is located off Dale Mabry Highway in a white, wood-framed building that looks like a dental or insurance office. After being admitted through a locked door from the waiting area, patients are greeted by a bright, antiseptic room featuring a row of consultation offices and display cases filled with vaping devices and bottles of pills and ointments. Blame that on Florida’s new marijuana law. In the fall of 2016, 71.3 percent of voters approved a constitutional amendment expanding medical marijuana, making Florida among 30 states that have legalized pot for either recreational or medical use. But the Legislature grappled for months over how to enact the wishes of voters. It took a special session in June to finally pass rules that include barring the sale of flowers, buds or any other part of the plant that can be smoked. Trulieve is one of 17 state-approved dispensaries, each allowed to operate 25 retail stores. Trulieve’s Tampa and Clearwater stores were the closest to Sarasota until late July when it was scheduled to open a dispensary in Bradenton. Many patients are in their 60s and 70s, Walker says, which is why Trulieve is also opening a dispensary in The Villages retirement community near Orlando. Under the law, operators such as Trulieve not only dispense the marijuana, they also are responsible for growing and processing it. Trulieve, which already has 7,000 patients, owns grow rooms near Tallahassee. The pot is distilled into pills or oils that can be vaped, rubbed on the skin or dispensed in droplets under the tongue. In June, the Legislature expanded the rules to include edibles, albeit with conditions that have given dispensaries like Trulieve pause. “We’re still figuring out how we’re going to do edibles because the product cannot look like anything that could attract children, like a gummy bear,” Walker says. Justin Strekal, political director for NORML (the National Organization for the Reform of Marijuana Laws), contends that Florida legislators “wanted to pat themselves on the back” over how restrictive they could be. Not only did the state prohibit smoking, the Legislature also has tighter restrictions than most states on who can qualify to get marijuana. There are about a dozen conditions lawmakers approved, including AIDS, Parkinson’s disease, glaucoma and post-traumatic stress disorder. “Florida is near the bottom of giving people what they actually voted for,” Strekal says. The Legislature did lessen some restrictions, eliminating the 90-day waiting period for patients to qualify and reducing the amount of training required by doctors from eight to two hours. They also increased the number of companies that can distribute the drug from seven to 17. As of late June, nearly 20,000 patients and almost 900 doctors had registered in Florida. Whatever critics say about the law, Walker says it is already achieving its main goal of relieving pain and improving the conditions of patients with serious medical problems. THC is to marijuana what alcohol is to booze, and doctors are authorized to prescribe a variety of potencies. A typical joint might have 12 percent THC, Walker says. Trulieve offers products with up to 85 percent THC, which are for cancer patients and others who are in severe pain. Dr. Christopher Newcomb, an internal medicine specialist in Sarasota, says he is “very disappointed” with how the state has enacted Amendment 2, saying the rules have been confusing and the state has ceded too much control to the Department of Health. Newcomb also says the prohibition on smoking the drug was unwarranted, adding that, in some cases smoking makes sense medically. Despite his reservations, however, Newcomb predicts that the legalization of “medical cannabis”— he prefers not to call it pot or marijuana—will have vast benefits for Floridians. 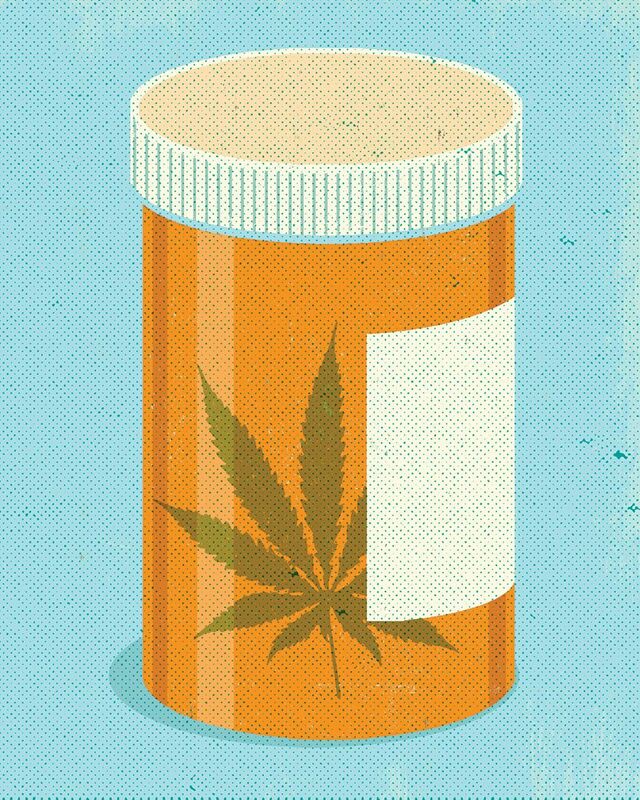 Newcomb says, the legalization will promote research about a drug that has been understudied and stigmatized. Under the new law, doctors are required to submit patients’ charts to the Department of Health, which will allow experts to study marijuana’s effect on patients suffering from ALS, cancer, glaucoma and other diseases.